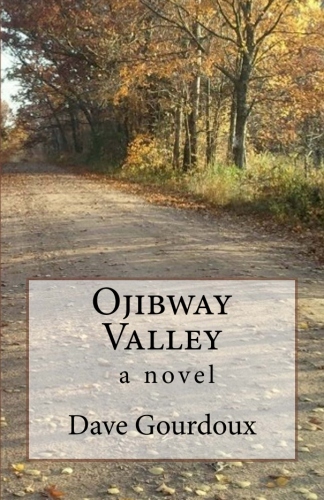 A couple of years ago, I was the guest star at one of the only (okay, the only) book signing events for my first novel, Ojibway Valley. The event was held at the Toad House bakery and art gallery in the small northwestern Wisconsin town of Ladysmith, the brain child of two of the nicest people you’ll ever meet, Tony and Eileen Ziesler. Tony and Eileen have been dear friends to my Aunt Phyllis for years now. It was this connection through which my first public appearance as an author was scheduled, and as I sat in the John Stevenson gallery, named for my late Uncle (“Uncle Steve” as we called him), beneath his paintings and facing the crowd that was slowly filling in, I felt honored and nervous. The crowd settled in and I think someone introduced me and then it was time for me to do my bit. I had planned a few introductory remarks, then a reading from the book, and then some time for questions and answers and maybe, if I got lucky, finally squeeze in the time to sell and sign a couple of books. I’d just started my presentation when the door swung open and two elderly men entered. One of them walked with a cane and wore several colorful scarves. He was stooped over and walked very slowly, the sound of his cane echoing loudly on the wood floor. Although I’d never met the man before, I instantly recognized him, and waited patiently for him to make his way to the table where he’d be seated. The room was suddenly more substantial, and heavy with the respect that Barry Lynn’s presence commanded. Here’s what I knew about Barry Lynn. I knew he staged modern dance performances at his north woods studio, in a landscape where dance is usually defined as polka. I could only imagine the incredible courage and resolve it must have required for him to simply be who he was, stubbornly and unapologetically, an island of nonconformity in a sea of like-mindedness. And I knew he was old, approaching one hundred years at the time. I was certainly more nervous than before he entered, but I was also more focused, and I delivered my spiel and my reading feeling surprisingly comfortable. The crowd was bigger than I expected, and the questions were good, and I answered them with confidence and without hesitation. Afterwards, the crowd mingled, and Michael Doran, Barry’s life partner, came up and introduced himself to me. We talked about the selection I read and how he reacted. It meant a great deal to me to be talking to another adult, a real artist at that, about my work. At the end of the evening, I’d sold only two or three books, but that couldn’t have mattered less. For one evening, at least, I was a bona-fide author. I think of that tonight, and I think of Uncle Steve, and Aunt Phyllis, who is still alive, almost 93 years old now. I am warmed by their memories and grateful for the impact they’ve had on my life, and by how much it means to know that you were remembered, if only for a short time, by someone of substance.